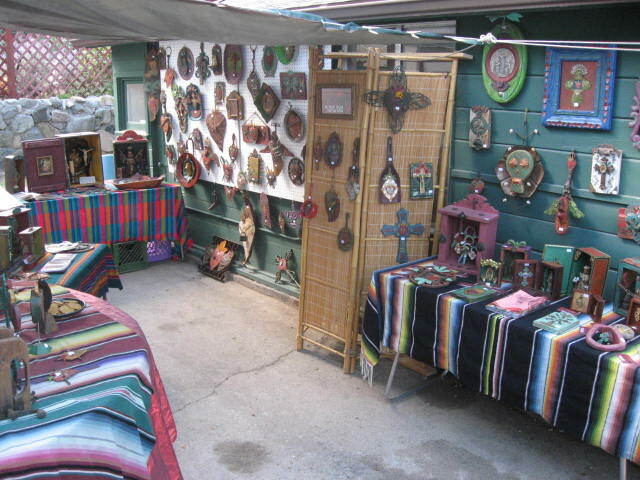 Today is the 18th Annual Fine Arts and Crafts Sale at my good friend Yvonne’s house. 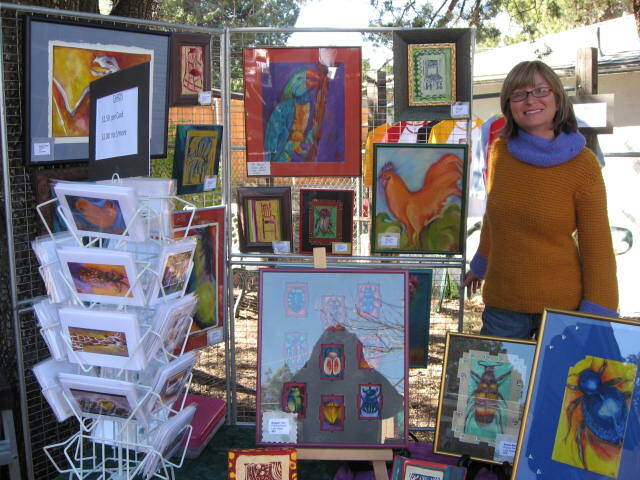 All those years ago, she and I decided to invite all our artist friends to sell our wares in her backyard. 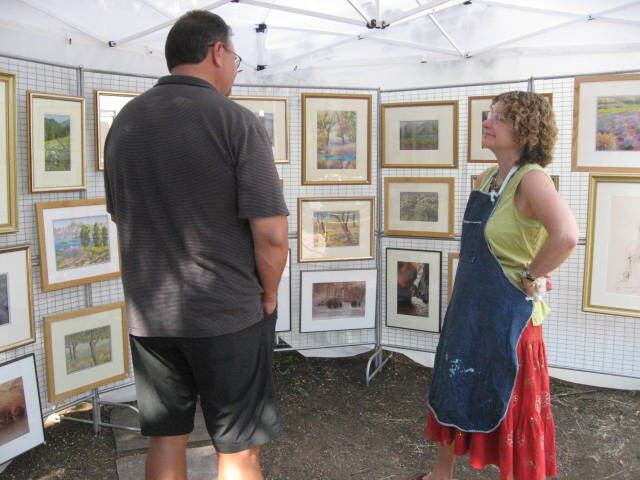 Over the years the participants have included photographers, potters, jewelers, illustrators, painters, wood carvers, pastel artists, weavers, metal smiths, glass blowers, and more. My own history includes making silver jewelery, batiks, my own line of candles, natural handmade soaps, mosaics and, most recently, folk art. 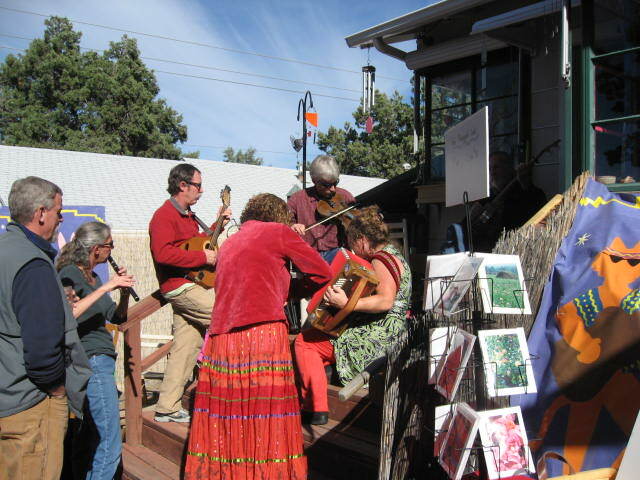 Our little show is always on a Sunday, from 10-4, and we provide delicious snacks, as well as live music in the afternoon. We invite all of our collective friends, and typically 200+ people show up…even the year when it snowed ALL DAY LONG! Nowadays, there are all sorts of fall shows in the area, but we like to think that we might have gotten it all started…who knows? But one thing is for sure, it’s always a delightful gathering of friends…and the perfect place to start that pesky holiday shopping! Visit Rebecca for more Postcard from Paradise @ http://corazon.typepad.com/. ~ by Dawn Elliott on November 12, 2011. I’m glad your event turned out so wonderful. I wish I had been there. dawn this is lovely! 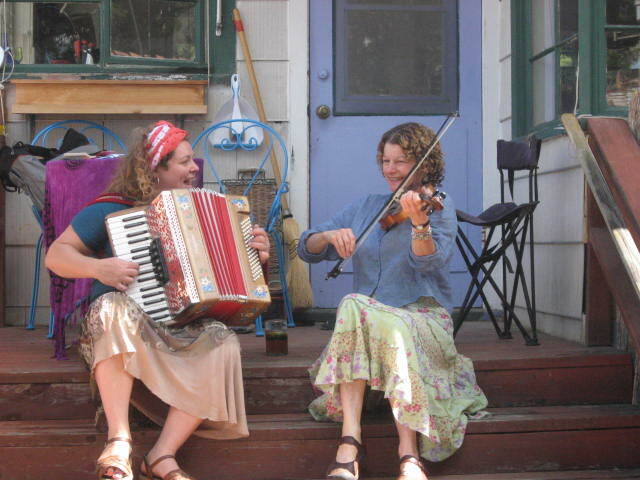 so many colourful memories of friends, art and music for your wonderful annual event. i am hardly able to find my way to the computer…let alone important gatherings of friends. (mother in law alive and well at our house) i think this says it all! This looks like my kind of event. Fun, festive, art , music and friends.